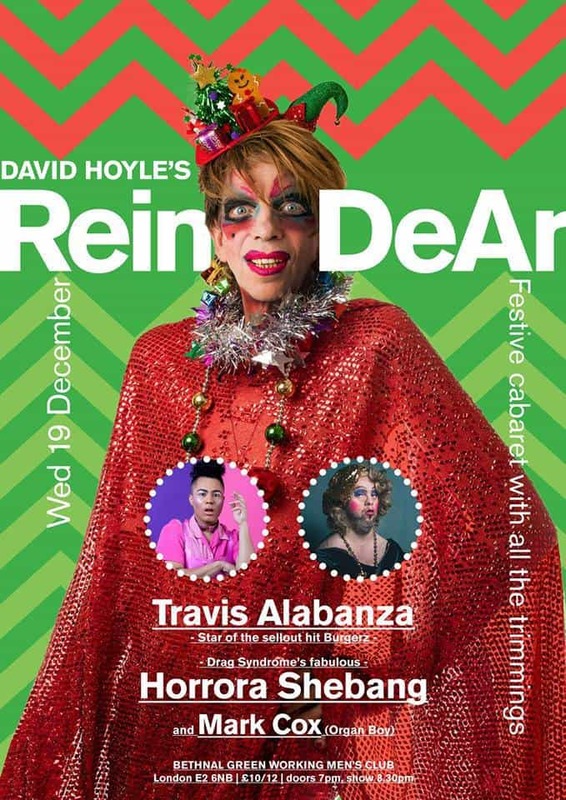 Undisputed King/Queen of the queer underground David Hoyle returns to Bethnal Green Working Men’s Club for a festive spesh. Expect outrageous standup from David himself, much of it improvised. He’ll be joined by Travis Alabanza, poet and performance artist. Madame Horrora Shebang will also be making an appearance. Having emerged from Drag Syndrome, a drag collective for queens with down syndrome who are being booked all over the world. Mark T. Cox will be the evening’s accompaniest. Having emerged from his “Organ Boy” world tour, he’ll be in attendance and sure to tickle your ivories, dear.